Accueil Produits Bande originale La bande originale de “La course au trésor”. Sortie : 14 septembre 2015. Film : La course au trésor. 1. Main Titles (Retake) – 3:30. 2. Casey Is Carried Off – 0:56. 3. Bundage Reveals Plot – 0:15. 4. Casey Arrives In London – 0:44. 5. Bundage Writes A Letter / Casey Comes To Candleshoe – 1:45. 6. Tea With Lady St. Edmund – 1:21. 7. Lady St. Edmund Welcomes Casey – 0:46. 8. 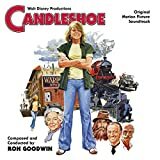 Casey Explores Candleshoe – 1:29. 9. Lady St. Edmund Dismisses Gipping – 0:31. 10. Casey Takes A Walk With Lady St. Edmund – 2:18. 11. Casey Is Apprehended In The Library – 1:19. 12. Casey Finds The First Clue – 1:07. 13. A Fight In The Family – 2:16. 14. Casey In The Churchyard – 0:56. 15. Colonel Dennis At The Gallop – 0:35. 16. Market Day – 2:04. 17. Casey Gets Knocked Out – 1:04. 18. Candleshoe Waltz (Film Mix) – 0:43. 19. Catching The 12:20 Train – 2:28. 20. The Big Fight At Candleshoe – 6:07. 21. Bundage Comes Back For More – 0:54. 22. The Treasure Is Found – 1:20. 23. End Title – 1:41. 24. THE EXTRAS: 24. Main Titles (Take 5) – 3:30. 25. Main Titles (Take 6) – 3:29. 26. Greensleeves No. 1 (Piano) – 0:11. 27. Greensleeves No. 2 (Piano) – 0:15. 28. Market Day (Take 2) – 2:04. 29. Candleshoe Waltz (Phonograph Version) – 0:42. 30. Candleshoe Waltz Orchestra Version) – 0:43.